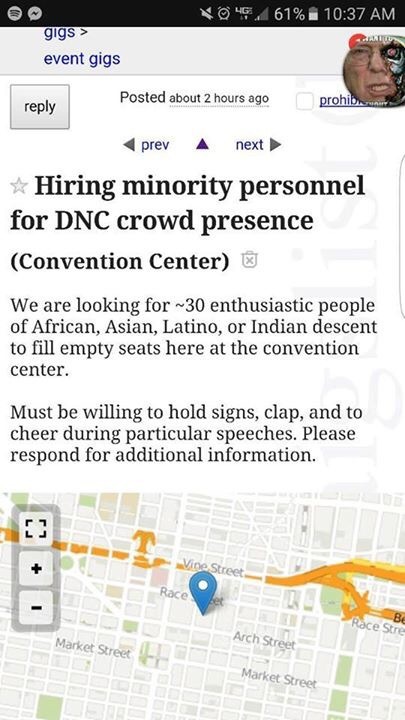 After getting some flack about a half empty Wells Fargo arena from Tuesday night, the DNC has posted ads on Craigslist to pay people to fill the empty seats. 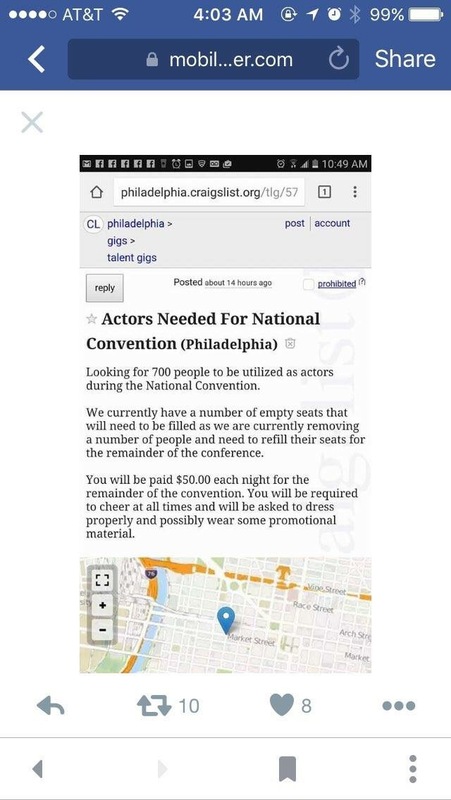 The ads offer $50 per night and ask the bodies to dress appropriately, hold up signs, wear some promotional material and clap at appropriate times. This is after many of the Bernie supporters, including most of the California delegates walked out after Hillary Clinton won the nomination on Tuesday night. Many of the major networks did not show the crowd on Tuesday night during Bill Clinton’s speech, but from many reports, the arena was half empty. This is just another example of how the Democratic Party intends on deceiving the American people. This entry was posted in Politics and tagged DNC. Bookmark the permalink.